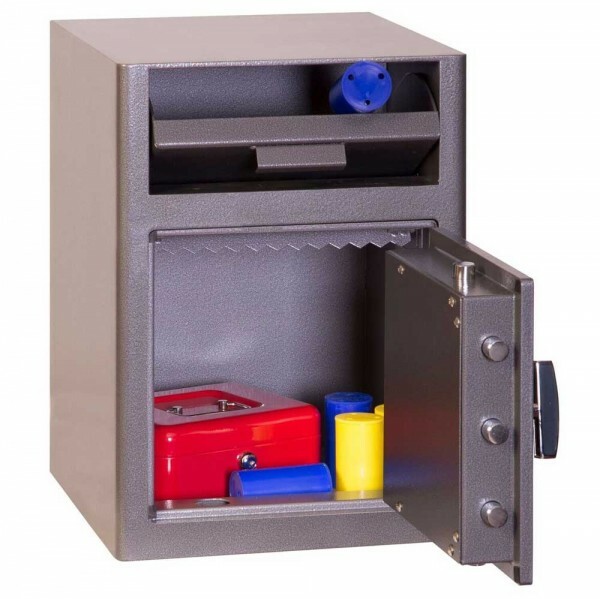 The Phoenix 0996 Cashier Deposit Safe Electronic is suitable 24 hour cash management and is ideal for retail stores, financial institutions and other small businesses. 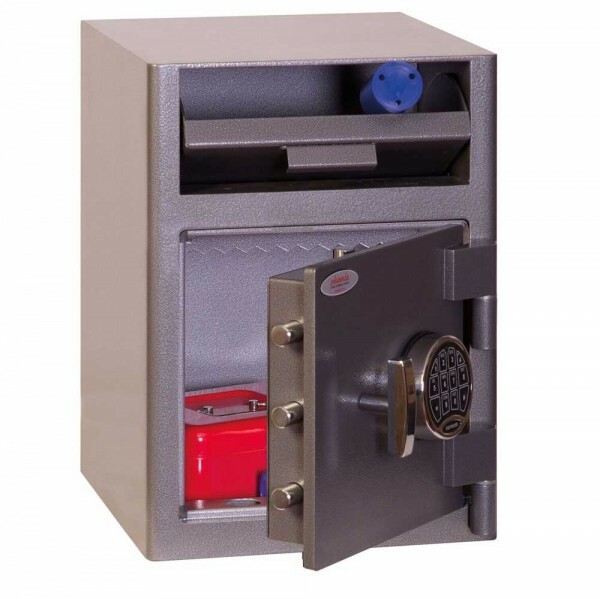 The deposit tilting plate can be locked ensuring that contents cannot be "fished" out and has an overnight cash risk of £3,000 and £30,000 valuables cover. 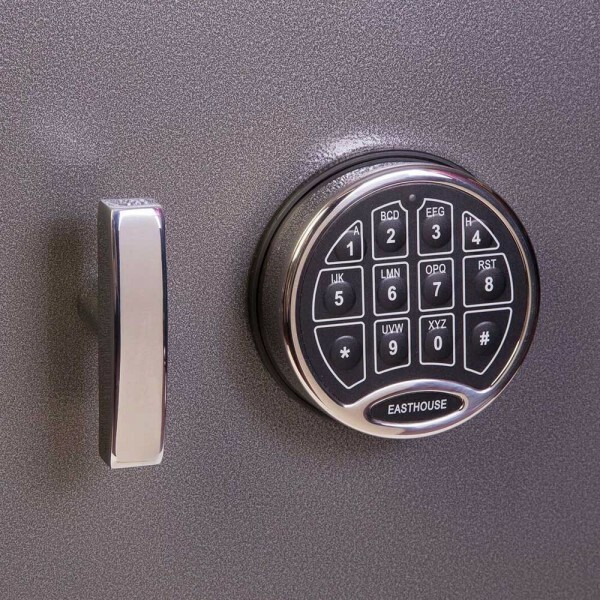 The Phoenix 0996 Cashier Deposit Safe Electronic has high security electronic lock with clear LED display with internal alarm, dual control, hidden code, scrambled code that can be programmed as standard. It has a 6mm solid steel body, 2mm steel door and comes with a fixing bolts to secure it on the floor.